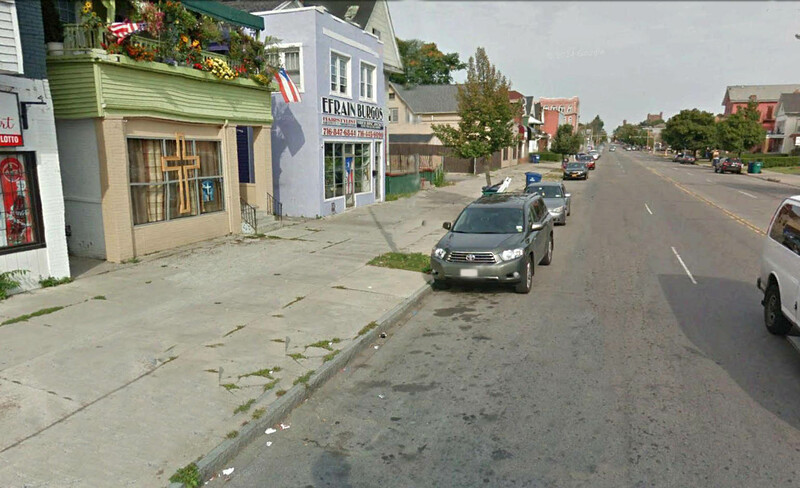 Niagara Street from South Elmwood Avenue to Porter Avenue, City of Buffalo. Construction Budget Phase 1: $2.8 million, Phase 2: $2.5 million. This project is about balancing two distinct project goals in one space. 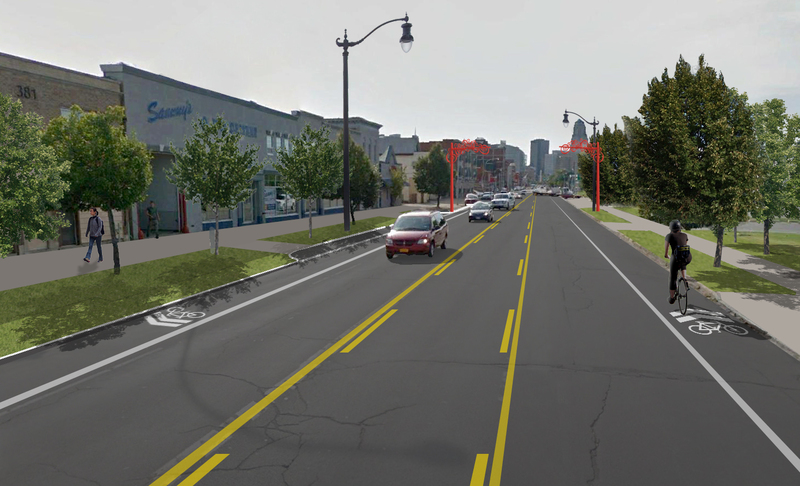 The first goal is strengthening the sense of place along Niagara Street, or Avendida San Juan, as it is also known in this Hispanic Heritage Corridor. 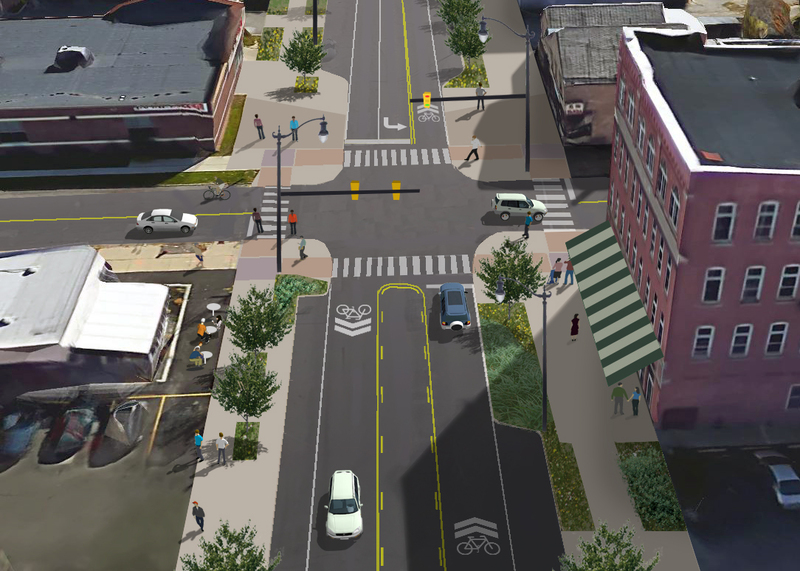 It was important for the design to strengthen and support local neighborhood residents and businesses, better organize and calm the vehicular traffic, and support neighborhood culture and identity. In addition, all of Niagara Street is part of a much larger Great Lakes Seaway Trail. As an important gateway into the City of Buffalo, Niagara Street parallels the Niagara River but is, in many cases, severed from the water in terms of access and views. The stormwater runoff generated by the street, is however, directly connected in terms of Combined Sewer Overflows. Establishing a stronger connection to the River and Buffalo’s waterways was an important design consideration as well. The second goal was to greatly reduce stormwater volumes flowing to Buffalo’s combined sewer system where the overflow discharges directly to the Niagara River. Through a combination of practices, the project intercepts more than 200,000 gallons of stormwater. This water is diverted, slowed, cleaned and infiltrated where possible. But the green infrastructure practices allow the street scape to come to life in a whole new way; creating a boulevard with a lush tree canopy that also calms traffic, creating enhanced pedestrian intersections that act as stormwater reservoirs while decreasing walking distances and creating places for public art. 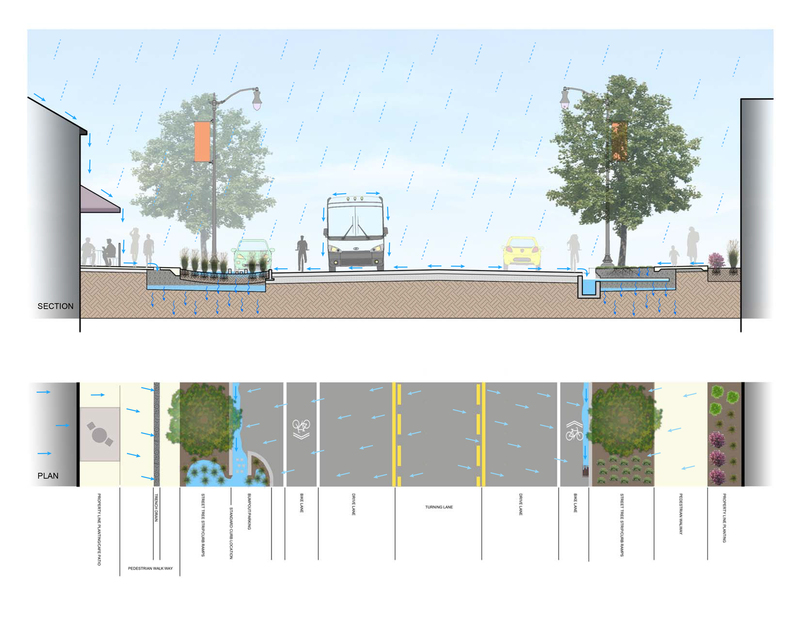 Rain gardens and community gather areas are located to support neighborhood interaction and beautification. As part of the City of Buffalo’s Stormwater Management Plan, the combined sewer overflows fed by Niagara Street were targeted for specific reductions. 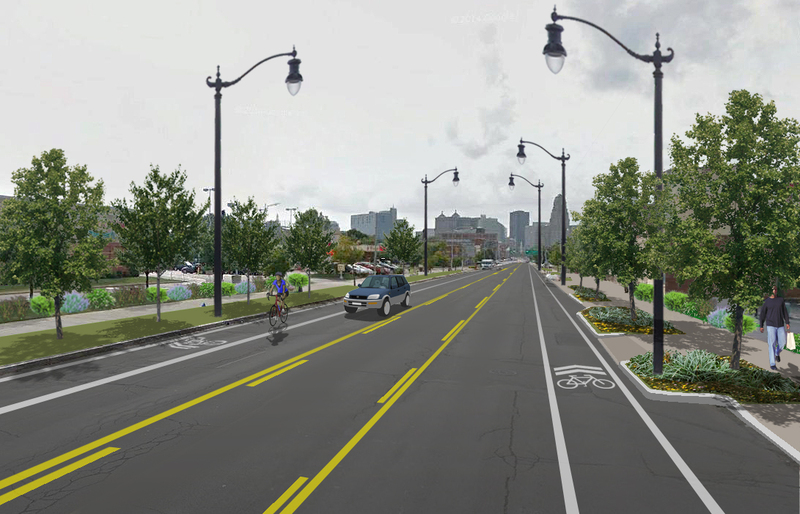 This reduction, coupled with a Federal Transportation Improvement project allowed for this project to be the first in Buffalo to move beyond “Pilot project” and into large scale construction and detailing. 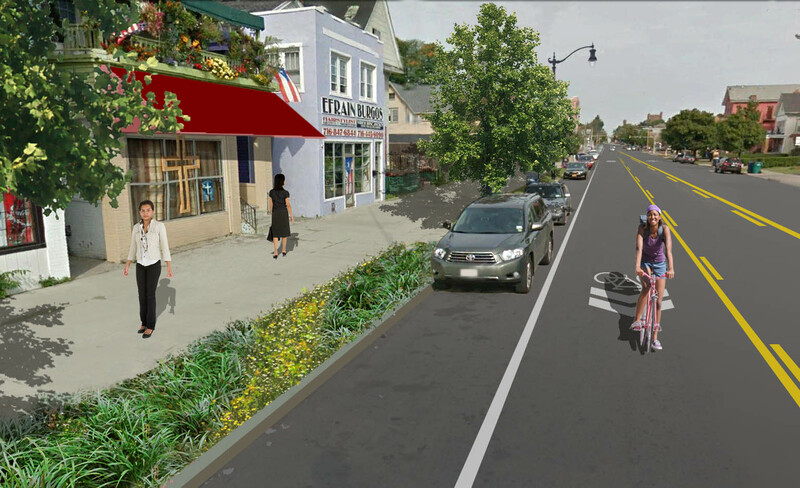 The project utilized several rounds of community meetings to discuss the various styles and functions of green infrastructure as well the goal of creating a design language that would be classic and support the neighborhood values of extending the front porch down to the sidewalk, and to provide areas for community festivals, music, dance and art. The community played an important role in selecting plant materials for the rain gardens which included brightly colored perennials spanning the spring to fall season. 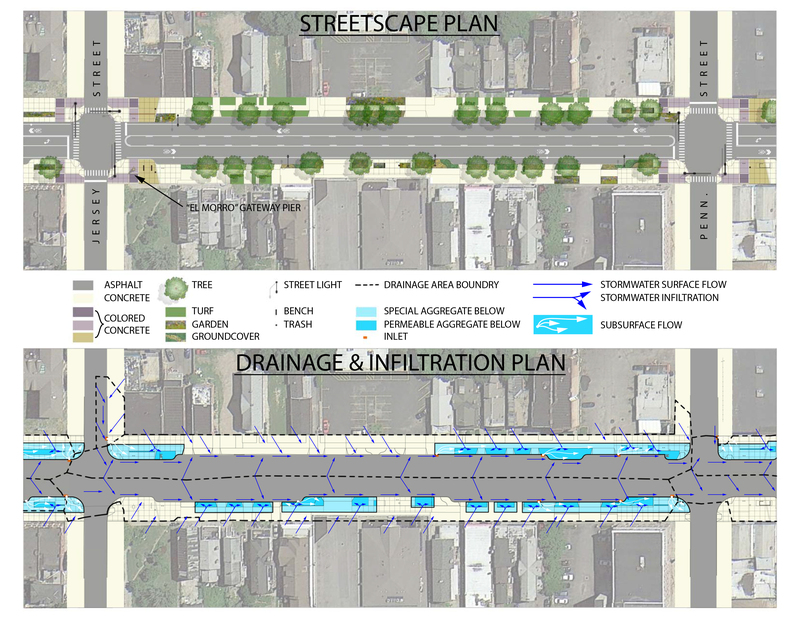 Ultimately the project employed 20 different cross section designs for stormwater management along this one mile section of Niagara Street including aggregate layering both horizontally and vertically, in street rain gardens, decorative trench drains in lieu of permeable pavements, pavement reduction and significant tree plantings.